Foreman Gene Autry is sent to Canada by his employer, Montana ranch owner Cyrus Higbee, to stop the marriage of his daughter Sandra to Todd Markley, whom he suspects of being a fortune hunter and only interested in the girl's wealth. 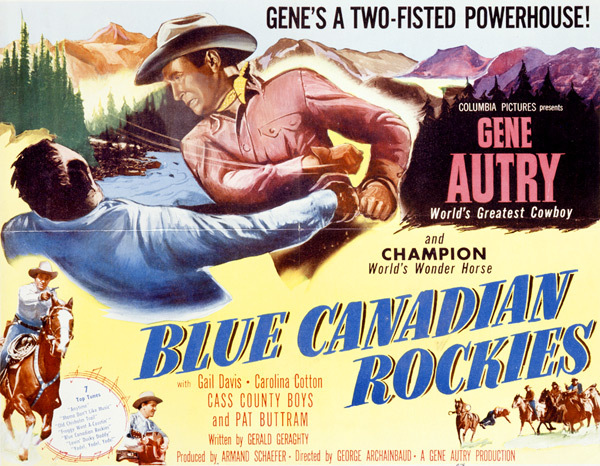 When Gene arrives in the Canadian Rockies, he finds that Sandra has turned the place into a dude ranch with entertainers Carolina Cotton and the Cass County Boys. There are also some mysterious murder attempts, including the killing of a Mountie, and the guilt seems to point toward Sandra's fiancé.